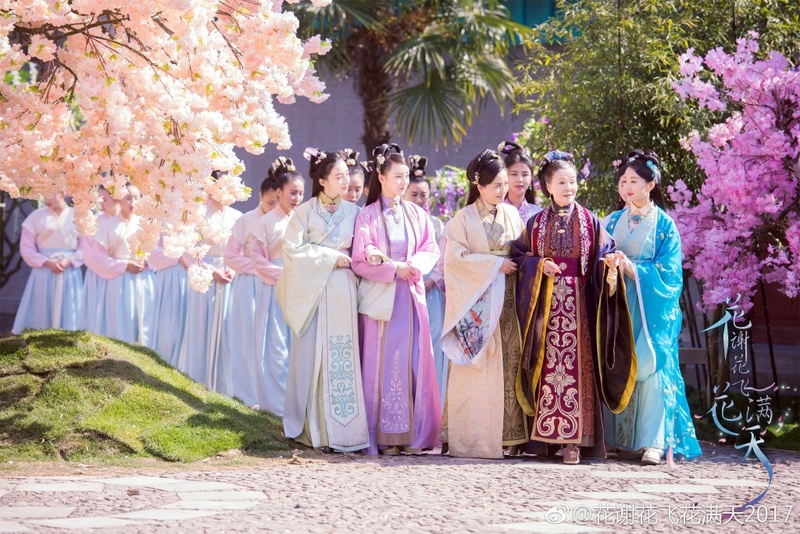 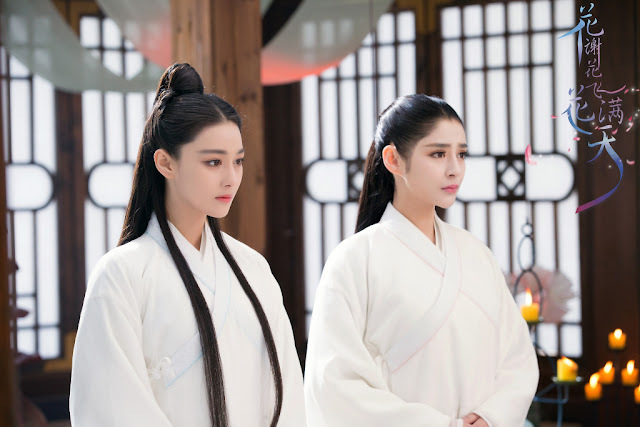 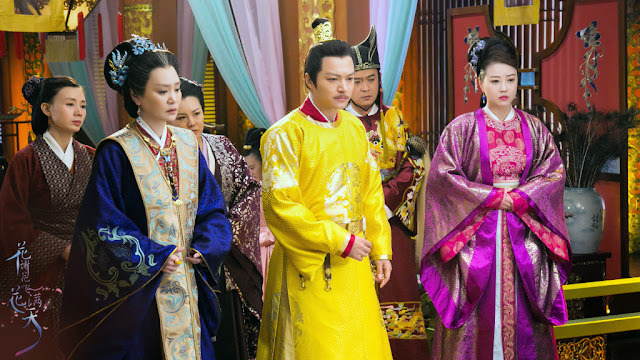 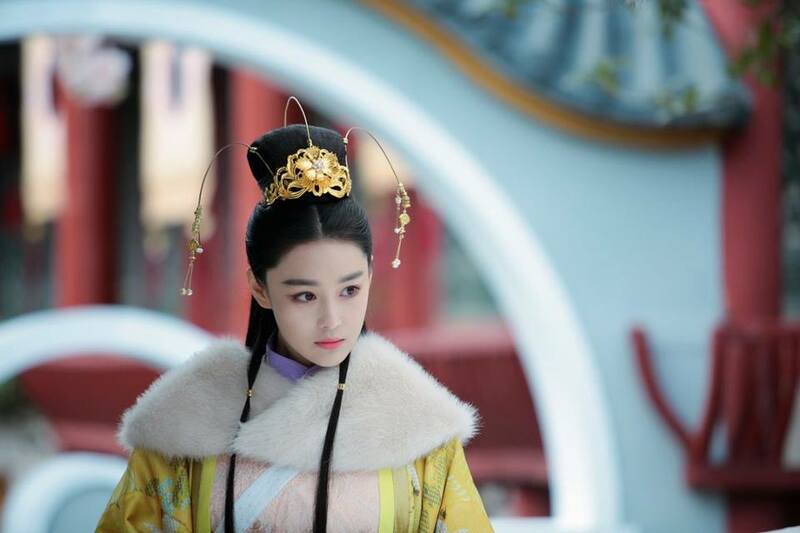 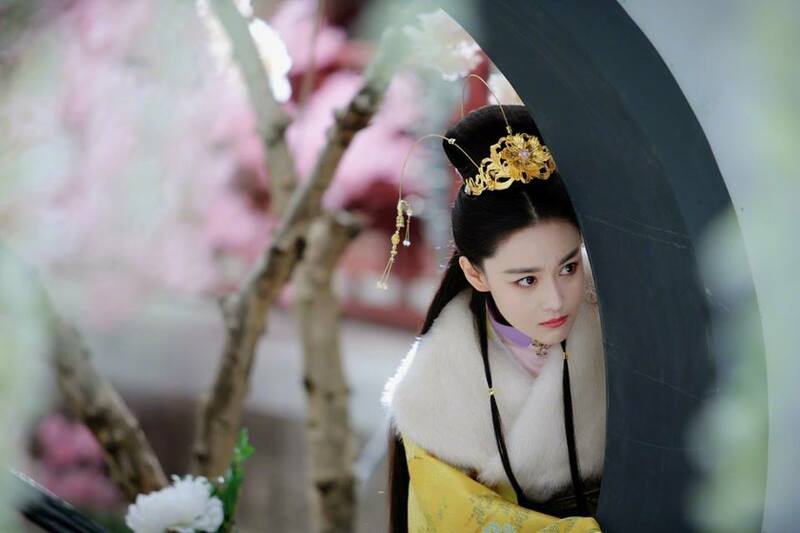 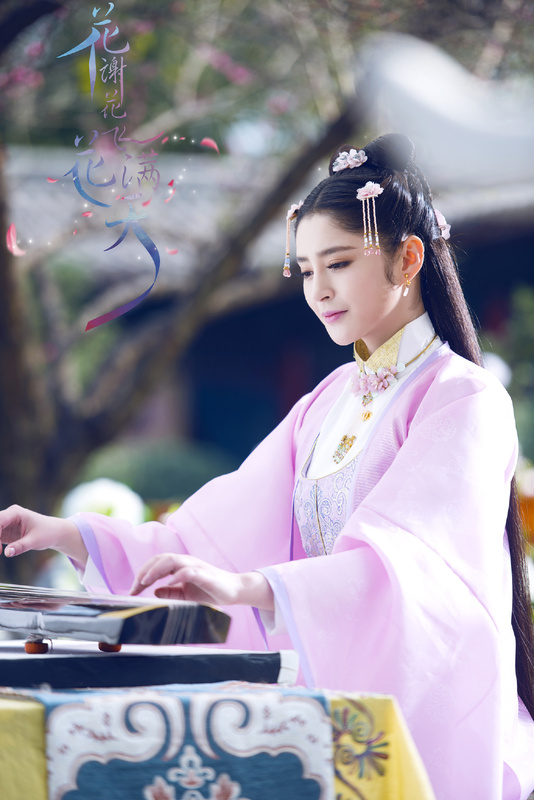 As Flowers Fade and Fly Across the Sky 花谢花飞花满天 is a 50-episode Chinese TV series telling a story of romance, righteousness, loyalty and filial piety between the Xie Family and the Hua Family. 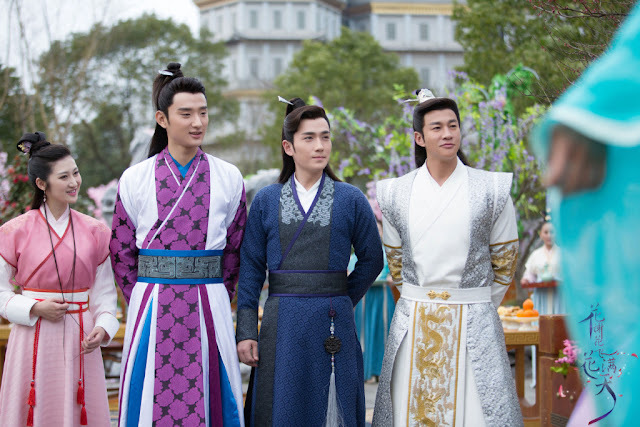 It stars Peter Ho (Nothing Gold Can Stay), Viann Zhang (Border Town Prodigal), Zhu Yi Long (Border Town Prodigal), Li Xin Ai (Princess Weiyoung) and Zhu Zi Xiao (Son of Hero). Hua Man Tian (Peter Ho) is the son of a bandit. 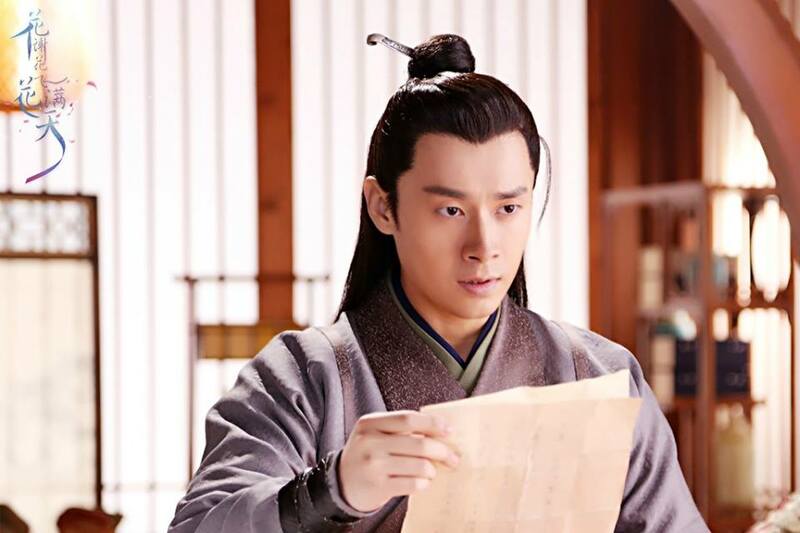 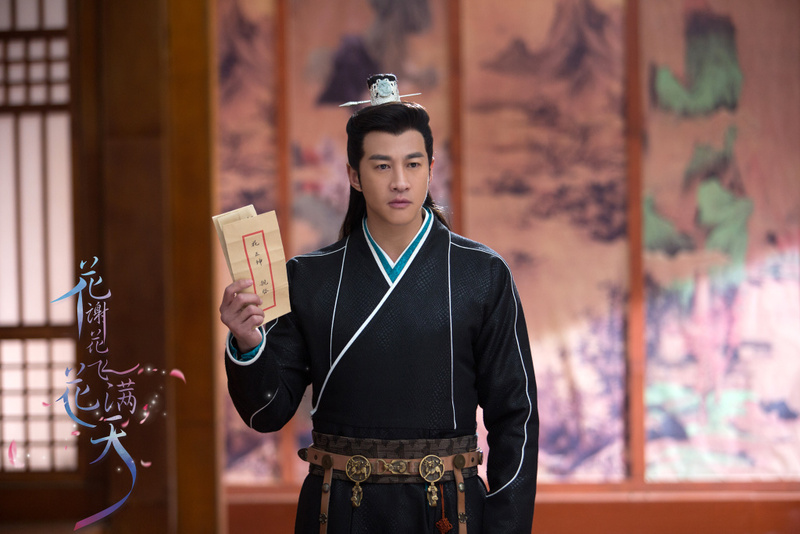 During a duel between his father and Xie You Dao, he loses all his memories and becomes the most favored godson of Xie You Dao, doing everything he can as a dutiful son. 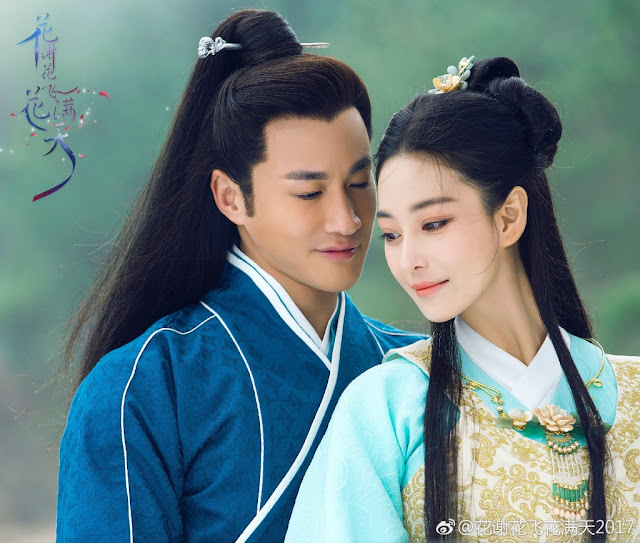 He is in love with his childhood friend Xie Qian Xun (Viann Zhang Xinyu) but a case of mixed identities with a princess (Li Xin Ai) ensues. 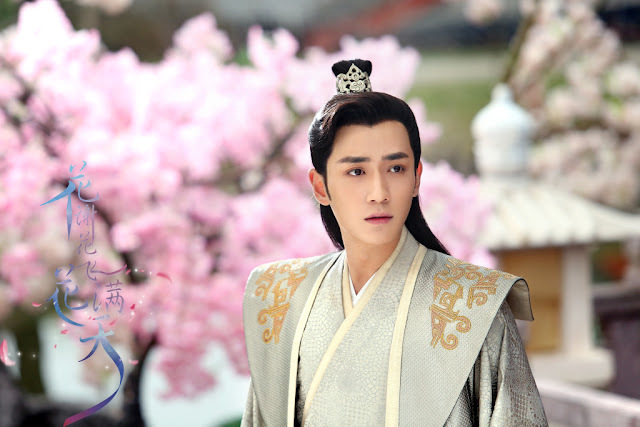 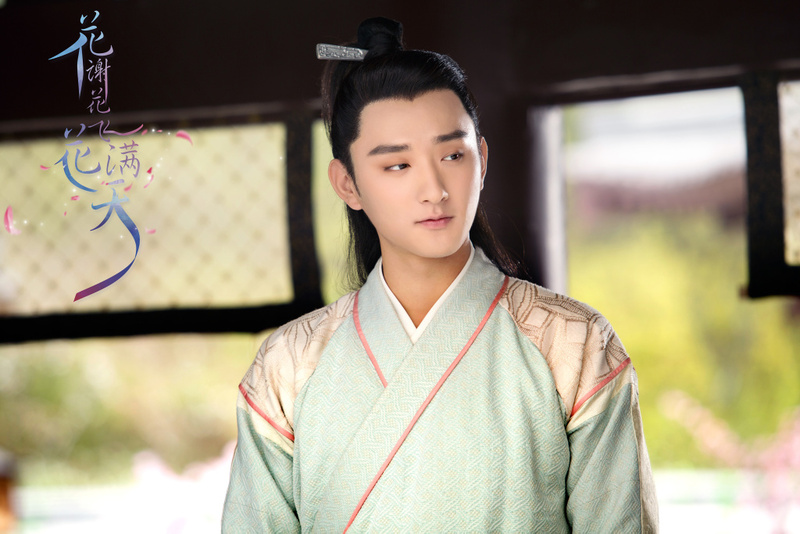 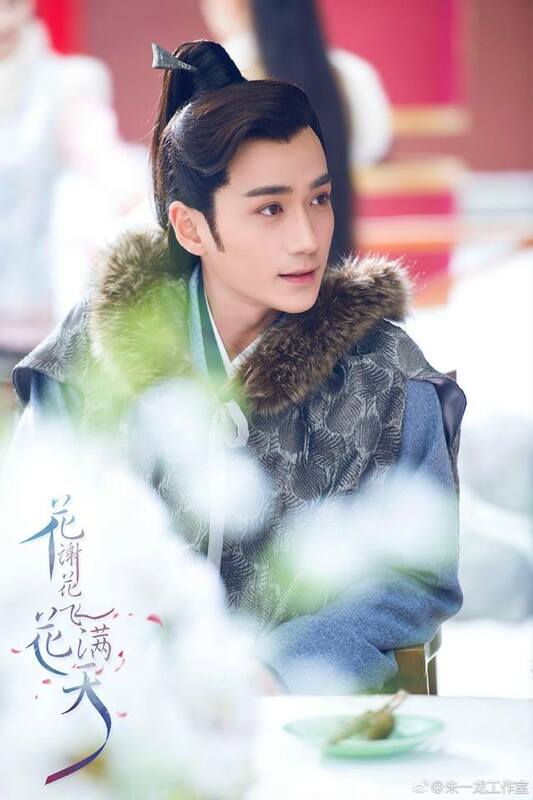 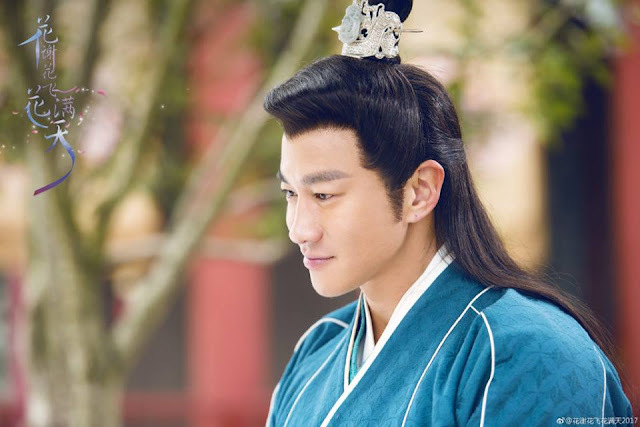 Meanwhile, Hua Tian Xie (Zhu Yi Long) is a man who silently protects the princess. 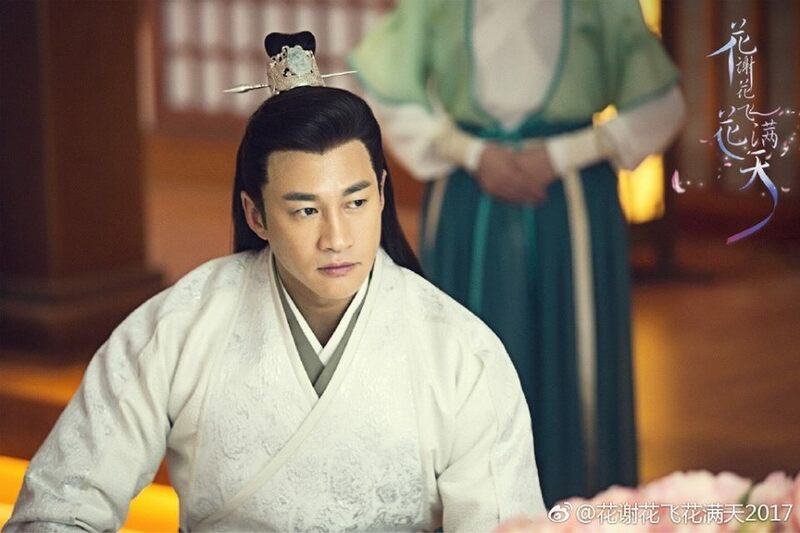 Li Xin Ai must have connections to keep getting cast. 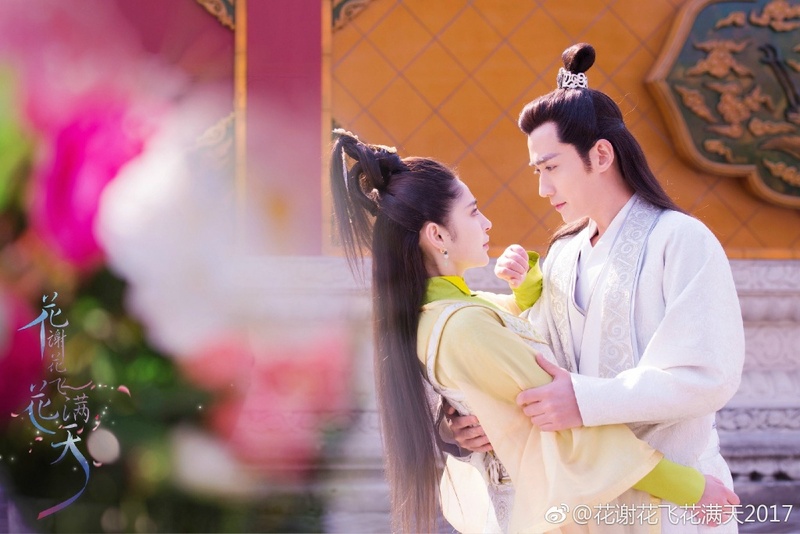 And in ancient dramas no less. 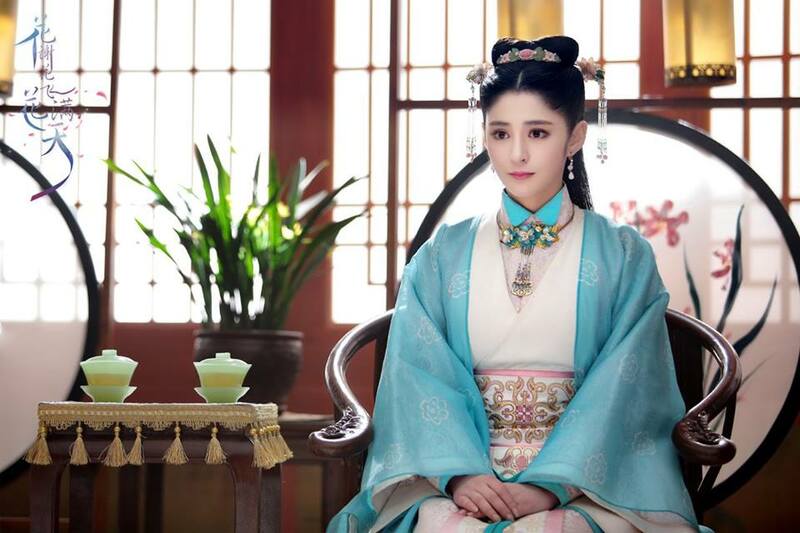 She's not a good actress and her very obvious plastic surgery makes her look so anachronistic in ancient costume. 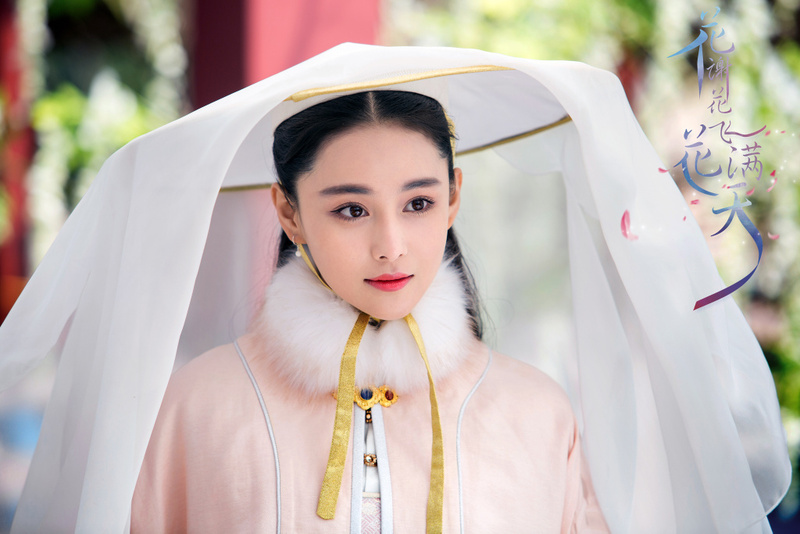 She was horrible in Princess Weiyoung and I was in disbelief everytime we were supposed to believe she was more beautiful than Tiffany Tang Yan or Rachel Mao Xiao Tong. 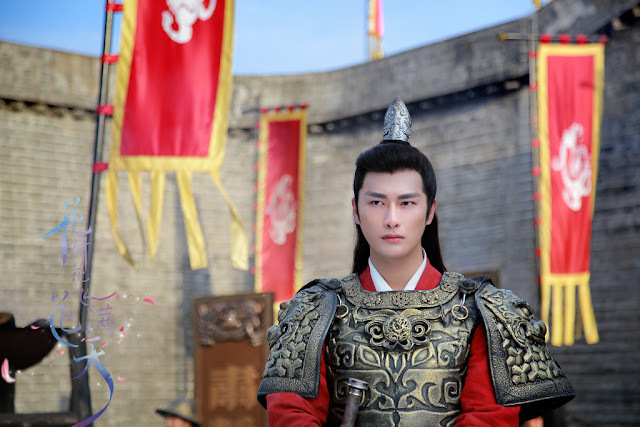 Zhu Yi Long should be the lead instead.....what a waste. Love Zhang Xinyu and Zhu Yi Long!